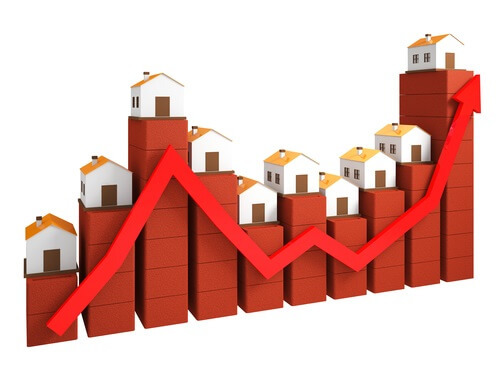 Real estate investors may decide to invest in single family properties, commercial real estate properties or both. There are important differences between these two large categories of investments, some of which are outlined below. The fundamental difference between investing in single family and commercial real estate properties is how value is determined for each option. For single family investing, the value is often based on three factors: land value, the value of the building and the current demand in the market. Historically, these values increase over time, but there are periods when values decline. When supply is limited, values may be higher because there is not enough inventory to meet the demand. This is one reason why some areas of the country have much higher home values than in other regions. For single family units, the goal is often to find appropriate properties and then sell them at a profit to another buyer. In other situations, the residential investor will lease the property and serve as a landlord or pay a property management company to tackle this responsibility. The residential investor is often able to make a profit by charging a higher rent than the cost of the mortgage, insurance, taxes and improvements. Commercial real estate investors often acquire properties or develop them. They may lease and operate the properties for commercial tenantsand rent out space for warehouses or manufacturers. They may also rent space to be used for gas stations, restaurants, hair salons, self-storage, hotels and office space. Commercial real estate investments may include properties used for residential purposes, such as multifamily units, senior living and student housing. However, commercial real estate investors may also sometimes develop properties and then sell them for a profit to be owned and operated by the end user. Both types of investors want to see the value of their property increase. However, the value of the property may increase for different reasons. For single family residences, value usually increases because the land value and construction costs increase over time. As demand for these properties increase, so does their value. While these factors also affect the value of commercial real estate, greater value is usually derived from a higher net operating income through rental escalations. The greater the difference between revenue and operating expenses the greater the net operating income (”NOI”). The saying “It’s worth what it earns” is true. Single family homes offer good investment opportunities because they have a greater range of potential buyers and may appreciate faster than other investment types. They may be able to sell faster, so they are often considered more liquid. However, property management and control of operational expenses is key in protecting your investment. Commercial real estate investors often avoid hassles associated with renting to residential renters. They can pick and choose the appropriate tenant and can craft long-term leases and transfer the risk of operational exposure to the Tenant. Whether you are looking for a Single Family or Commercial Real Estate investment, Arthur Nachman can help.